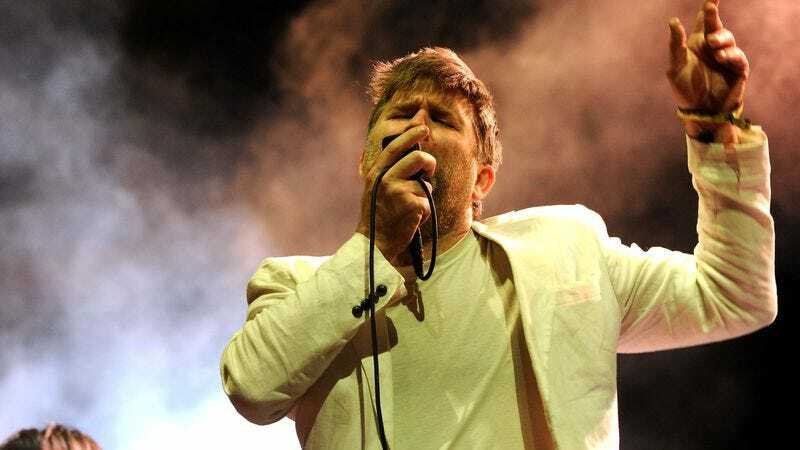 Here’s some good or bad news, depending on how you feel about getting stalked across the country by influential dance-punk pioneers: If you go to a major music festival this year, you’re probably going to bump into LCD Soundsystem. The recently reunited group was already set to headline at Coachella, Bonnaroo, and Lollapalooza this year; now, it’s been announced that they’ll also be headlining L.A.’s FYF Fest, set for the weekend of August 27. The band—which last toured regularly back in 2011—will be joined for the festival’s Sunday night show by Grace Jones, while Saturday’s headlining duties are being handled by Kendrick Lamar with an assist from Tame Impala. Hopefully, additional sets by the likes of Father John Misty, Grimes, and Beach House will give you and LCD’s James Murphy something new to talk about when you inevitably run into each other in the festival’s bathroom line, again, beyond the same trite, festival-centric small talk you’ll already have shared with him in Indio, Manchester, and Chicago earlier this year. You can see the full FYF Fest lineup poster below.